Flip a coin. 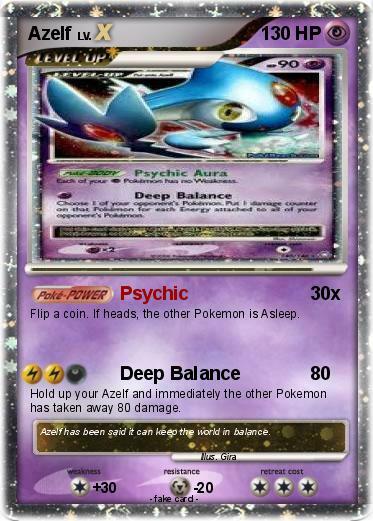 If heads, the other Pokemon is Asleep. Hold up your Azelf and immediately the other Pokemon has taken away 80 damage. Comments : Azelf has been said it can keep the world in balance.